Ever since Bitcoin took off in 2009, we’ve seen it move meteorically, gathering momentum. So, the question, ‘Should you still invest in Bitcoin?’ is still relevant. But have we missed the bus in availing Bitcoin’s benefits? The answer to the latest poser is likely to be in the negative. The year 2017 saw huge volatility in Bitcoin pricing. But even after prices crashed, Bitcoin recovered and is chasing new highs. Bitcoin is now estimated to be thrice the value of an ounce of pure gold. That’s ground zero for sparking a renewed debate whether Bitcoin is worthy of our continued investment. In a historical sense, Bitcoin has been profitable for long-term investors. Even short-term investors have survived Bitcoin’s volatility to book profits when the going was good. Bitcoin’s fundamentals are still strong enough to classify it as a profitable investment. The year 2017 saw one of the sharpest rallies with Bitcoin breaking all kinds of barriers and peaking at $19,500. Then it dropped by 70 percent in a major course correction. It’s not the drop that is catastrophic; more important is the ability of Bitcoin to stage a comeback. These corrections provide canny investors with big buy opportunities. Traditional systems are error-prone. Take the banking system which breaks down frequently and is open to fraud. Look at credit cards which are repeatedly hacked, seriously compromising the personal data and identities of cardholders. Even cryptos such as Ethereum and EOS have faced reliability issues. This is not true of Bitcoin which has maintained steady uninterrupted operations over the past five years. Bitcoin’s scalability of operations has also reduced transaction costs. Bitcoin handling is still cheaper in dollar terms compared to traditional services. There are three major systems corrections that have boosted Bitcoin’s capacity to handle higher transaction volumes. Segregated Witness (SegWit) is a technology that miniaturizes Blockchains signatures data. It adds more capacity, and over 40 percent of transactions are now SegWit-based. Transaction batching saves time and moves data more efficiently. The Lightning Network payment protocol is powerful enough to speed up network transactions and avoid traffic congestion. It also has a larger application in e-commerce. With more reliability and scalability of operations, Bitcoin scores big positives. In a country like South Korea, the younger generation has migrated en masse to Bitcoin attracted by its main advantages. Being the oldest and most reliable crypto gives Bitcoin an aura of stability and reliability that other cryptos lack. If other cryptos have a presence it is mostly because of the way they relate to Bitcoin and can be traded to and from bitcoin. The three scalability solutions we discussed are supporting large-scale transactions without compromising Bitcoin’s decentralized functioning. 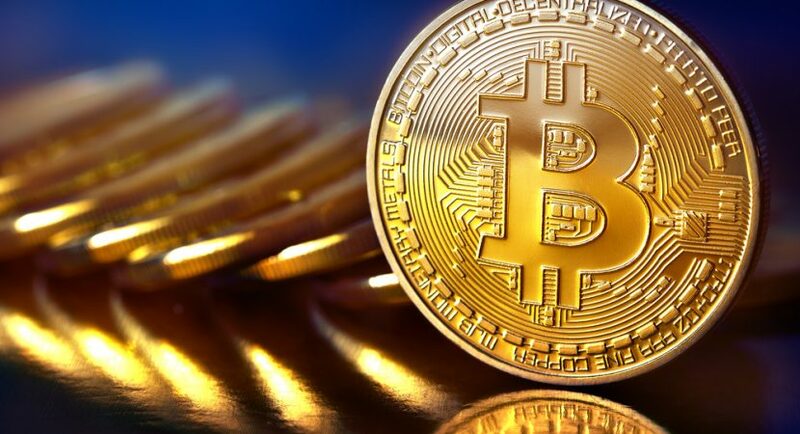 The popularity of Bitcoin remains undiminished, and it maintains a 43 percent crypto market share, leaving room for more growth. From a cash-based economy to a digital payment environment, and from there onward to digitally encrypted currencies, we are riding the blockchain revolution. Our concept of money has undergone a sea change. For an entrepreneur, Bitcoin marks the transit from traditional bookkeeping to more evolved and specialized accounting services. Blockchain accounting services are increasingly being accessed by businesses to ensure regulatory compliance and retain their competitive edge. By investing in Bitcoins we are automatically upgrading efficiencies and competencies. Investors have traditionally grappled with the triple responsibility of buying, storing and safeguarding their securities. This makes some people reluctant to trade in digital cryptos. Such worries are now resolved. The GBTC (Bitcoin Investment Trust) is listing Bitcoin backed securities that derive their value from the price movements of bitcoin. You can also invest in bitcoin Exchange Traded Funds (ETFs). This is possible using an Exchange-Traded Note (ETN) called Nasdaq Bitcoin Tracker One. The old global order built on the false sense of security of the banking system is collapsing everywhere. Many countries are finding themselves in a debt-trap. In such a scenario, a decentralized, digitized, peer-to-peer currency such as Bitcoin, far removed from government interference, offers a smarter alternative. Bitcoin is now valued even more than gold and can be transferred easily around the globe at a lower expense. Bitcoin will matter more when the global economy rallies around after another collapse. With nations restricting you from moving fiat currency outside their borders, the promise of global free-flowing traffic through Bitcoin appears too good to resist. Weaker currencies may trade themselves for Bitcoin sooner or later. The similar influx of US dollars to Bitcoin has sensitized the US government to the necessity of creating a government controlled blockchain network and national cryptocurrency. We are living in an era that is moving to cashless digital payment systems. We see them all around us in the form of debit cards, credit cards, online banking, NFC payments, and mobile banking systems. However, a centralized digital payment system is also likely to be monitored and one’s privacy is compromised. Because of blockchain’s decentralization and encryption protocols, there’s a measure of anonymity attached to transactions and one’s identity is not easily revealed. This is a fundamental reason why people are diversifying from digital payments to Bitcoin in a big way. Chances of Bitcoin’s Pricing Hitting the Roof Someday Would Be Very High; The Question Is, Are You Ready for That Day? Predicting the future of the global economy is rendered easier with financial systems collapsing day by day. In an era of financial chaos and instability, blockchain based Bitcoin cryptocurrency stands tall. It has proved that it can weather any storm and still rebound with renewed vigor. Bitcoin offers instant access to a global network which is growing exponentially and is stabilizing its valuation. Bitcoin is slowly emerging as an alternative digital payment method and investment avenue. So should you still invest in bitcoin in 2018? The answer is a resounding Yes. SoLoMo Technology Copyright © 2019.